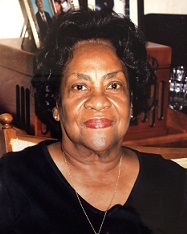 Loretta B. Hill, 85, passed away on February 10, 2019. She was a graduate of Howard High School Class of 1950 and attended Zion College (City College). She was a teacher with Chattanooga City School System and East 5th Street Daycare. She was a member of Foxwood Height Community Club, Eastgate Senior Center, Senior Bowling and Line Dancer. She was a member of Prospect Baptist Church, Pantry Ministry, active in Sunday school and choir. She was preceded in death by her parents, Nathaniel and Daisy Wheeler Blackwell; sister, Helen; brothers, Nathaniel, John Lee, and David; husband, Millard I. Hill; sister-in-law, Willie May Edwards. Survivors include her sons, Gregory (Ricky) Hill, Tampa, FL, Millard Haven (June) Hill, South Bend, IN, Sean (Rhonda) Hill, Chattanooga, TN, Stephen (Kenya) Hill, Macon, GA; granddaughter, Dana (Robert) Dozier; brother-in-law, Willie Mack Edwards; 12 grandchildren; 17 great-grandchildren; 4 great-great grandchildren; numerous cousins, Blackwell, Starks, Edwards, Hills, nieces, nephews; a host of other relatives and friends. The body will lie in state after noon on Thursday, Feb. 14, and visitation will be from 7–8 p.m. at the funeral home. A funeral service will be held at noon on Friday, Feb. 15, at Prospect Baptist Church. Interment will be in Chattanooga National Cemetery.